Cody Bokany not only wants her clients to look fantastic, she wants them to feel fantastic too. That’s why, with her Bokany Hair salon, Cody places as much emphasis on what goes into the products she uses as she does on what effect they have on her clients’ hair. Bokany Hair is a vegan salon and the hair care products Cody uses are made in Melbourne by Mr Smith. That’s a win-win for Cody — she is committed to supporting local manufacturers, and Mr Smith products are sulfate and paraben-free and are also approved by PETA. Cody also uses ZenzTherapy Alternative Color products, which are also vegan, include natural ingredients and contain neither ammonia nor PPD. Cody offers and recommends OLAPLEX with colour services or as a stand-alone rebonding treatment. While blondes are what she does the most and what she is more known for, Cody loves to use alternative colours and has plans to do more. “My focus is about maintaining the health of my clients’ hair while reaching their goals,” she says. If having beautiful healthy hair without all the environmental nasties is as important to you as it is to Cody, you know who to call. Youthful You is dedicated to providing affordable cosmetic injectable treatments of the highest quality. Dr Bradley Hull and his team bring clinical knowledge, skills and experience in medical cosmetic treatments to enhance and maintain your natural and youthful appearance in a professional and ethical environment where you are always the highest priority. Dr Hull is an experienced GP who trained in the UK and has a passion for cosmetic medicine. His unique approach to anti-ageing means he prides himself in giving his clients a natural, fresh and youthful appearance. Safety is of course of the utmost importance and his excellent team ensures every procedure runs smoothly so that you make a quick recovery and start enjoying the new natural you. Dr Hull’s ethos to skin rejuvenation and anti-ageing is that of subtlety with a philosophy of conservatism and ‘less is more’. The common practice of applying youthful facial features such as flattened, expressionless foreheads and large full lips to a mature face sometimes results in an unbalanced appearance. Therefore Dr Hull prides himself in adopting a holistic approach to facial rejuvenation, which restores a natural radiance and healthiness to the skin. With well-judged targeted use of cosmetic injectables, he rebalances the face, enabling you to achieve a ‘natural’ rejuvenation and a desirable outcome. Feel like royalty this summer with a golden, natural-looking tan from Royalty Society. 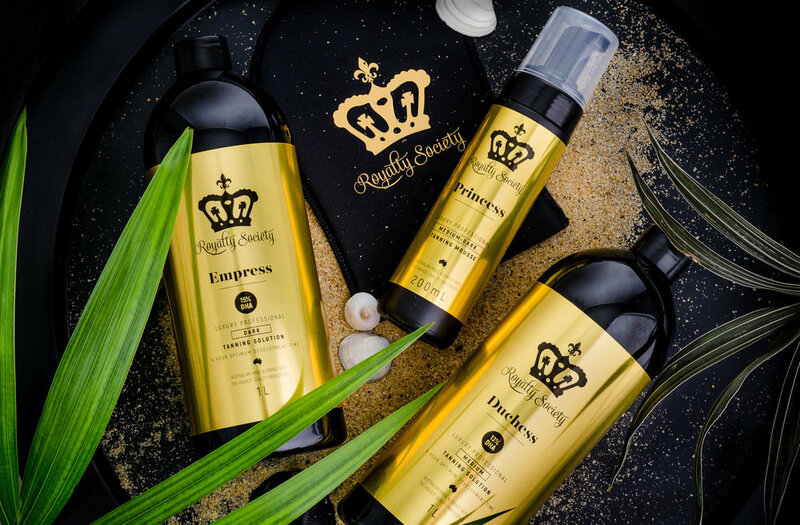 Australian-made and owned, Royalty Society’s professional and DIY tanning products are made in a PETA-approved facility and are 100 per cent vegan, cruelty-free, contain no alcohol, paraben or PPD, and are suitable for sensitive or dry skin. With the Spring Racing Carnival upon us and summer events around the corner, you will always be ready with a Royalty Society tan. It has superior lasting power, will not go orange or streaky and won’t give you that “fake tan” look. Patented technology provides an even application and prevents skin dehydration, uneven fading, and flaking or cracking. Royalty Society also offers in-home luxury tanning appointments. With more than 10 years’ experience in the tanning industry, company director Jaide Hopwood guarantees a comfortable and professional experience with online booking and secure payment options available. For exceptional natural results, Jaide recommends getting your tan one or two days before your event. Also, when you take your first shower after treatment, rubbing your skin gently to remove bronzers will prevent any lines or streaking. Finally, use pH-balanced or natural shower gels and moisturisers instead of acidic or fruit-based products, which can affect the longevity and appearance of your tan. For tanning bookings, visit royaltysc.com and select “mobile appointments”, and email info@royaltysc.com for further information. Tiarna Robertson’s passion for beauty started at a young age and she has now carved herself a successful career as a full-time make-up artist. Born in Queensland, Tiarna has worked around Australia and spent time overseas honing her craft. She now calls Seaford home and regularly travels around Victoria for her bookings. With more than 13 years in the industry, Tiarna has a well-rounded skill set, from make-up director for the Sydney Fashion Festival to bridal parties, education and empowering everyday women with make-up. Tiarna is recognised for her ability to take current trends and adapt them into wearable make-up looks with exceptional attention to detail. Specialising in airbrush make-up, she is able to create flawless looks without the need for heavy application — no cake-face in sight! Tiarna’s philosophy is to design a make-up look that complements her clients’ features and, more importantly, helps them to feel incredible about their natural beauty. Bringing out a woman’s confidence through make-up is a privilege she doesn’t take for granted. Due to her outstanding ethic and refinement of artistry, Tiarna is in high demand during the Spring Racing Carnival and for weddings across the Mornington Peninsula.